Free trials are about giving customers confidence. Nobody wants to spend money without knowing what they’re buying—or if what they’re buying does what they need. That’s why a free trial can be your best sales pitch. It puts potential customers in the driver’s seat, so they can experience your product for themselves. Meanwhile, onboarding puts you in the passenger seat, telling them more about the product and helping them get the most from it. So how do you make that happen more often? There’s more than one way to increase free trials, and in this roundup we’re going to discuss the strategies 10 companies used successfully. These are all real case studies about free trials, with real companies and real data. Built a referral program into their onboarding process. Permanently increased signups by 60%. Grew from 100,000 users to 4,000,000 users in 15 months. Where the case study came from: In 2014, ReferralCandy analyzed DropBox’s legendary referral program on their blog. 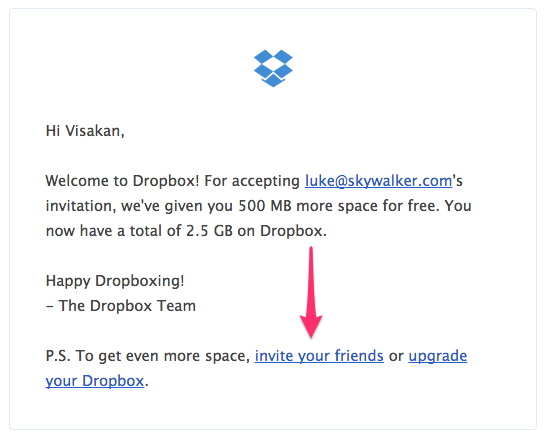 Even if you’ve never used DropBox before, you’ve probably seen one of their referrals in your inbox. 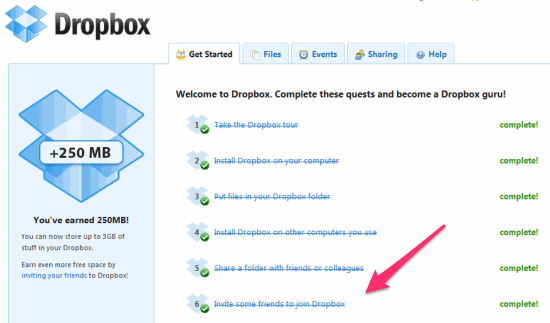 ReferralCandy reports that in April 2010, DropBox users sent out 2.8 million direct referral invites. And that was when they’d just crossed the one million user mark. Today, there are about 200 million more DropBox users than there are people in the US. And their referral program is still alive and well. If you’re serious about growth marketing, you can’t afford to overlook this beautifully simple system. While it’s pretty common for SAAS products to incentivize referrals with something like a free month, referring your friends and family to DropBox makes your account more valuable. Free users automatically get 2 gigabytes of cloud storage, and every referral earns you an additional 500 megabytes. The case study makes several keen observations about what likely made DropBox’s referrals so successful. For starters, the referral program is part of the gamified onboarding process. Part of what makes this work is that the referral program is framed as a benefit to the user. 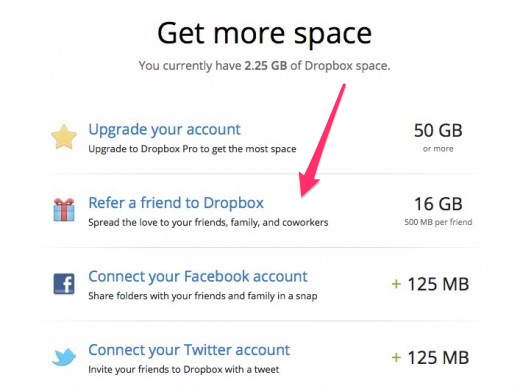 “It wasn’t positioned as ‘Invite friends’ but ‘Get more free space’. This is the key to some of the most successful referral campaigns,” ReferralCandy says. 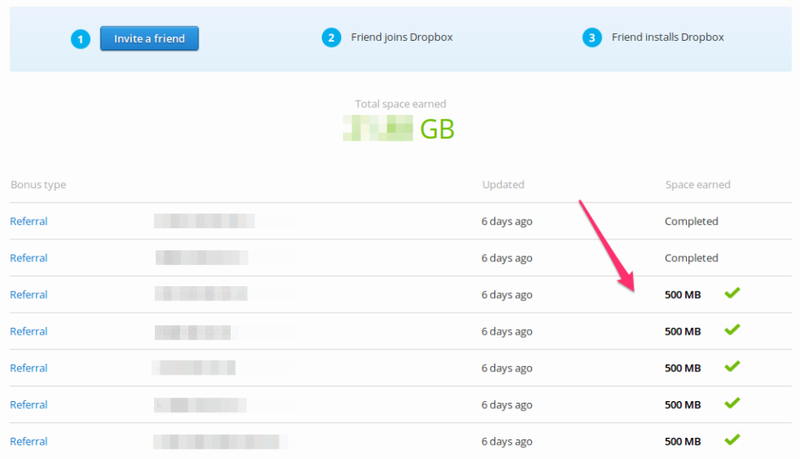 DropBox made it as easy as possible for existing users to refer their friends. All people had to do was click a button to share a link. After they invite someone, DropBox lets people see the progress of their invite. It’s like tracking a package. Nobody likes to think their work is going into an abyss. This nifty little bonus tracker serves as a monument to the value of all a user’s referrals. Every single one is right there, demonstrating its worth. And finally, ReferralCandy points out that DropBox takes every opportunity to “keep the viral loop strong.” When friends accept an invite to DropBox, the confirmation email prompts them to start inviting their friends. Note: DropBox was failing hard at AdWords. It was costing them $233-$388 to acquire customers for a $99 product. Who knew that for a few measly megabytes, people will advertise for you! Tested several very different pricing models. 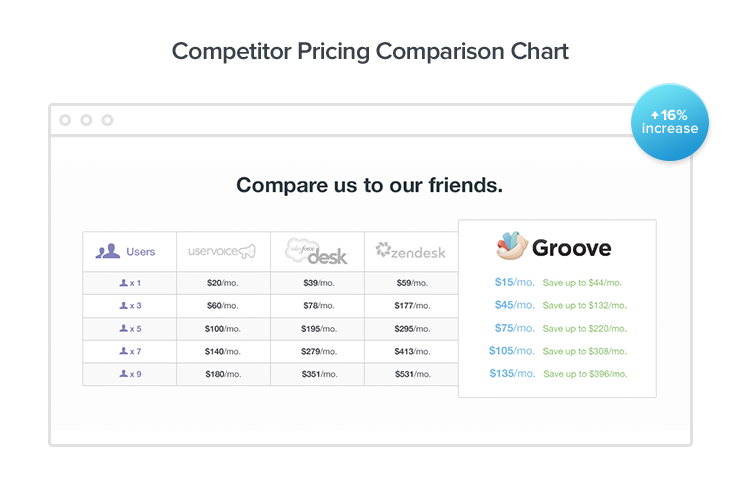 Added a pricing comparison page. The final pricing model converted 358% more free trials than the original. Price comparison tool increased conversions by 16%. Where the case study came from: Groove HQ shared this case study as part of their “journey to 100K a month” series. 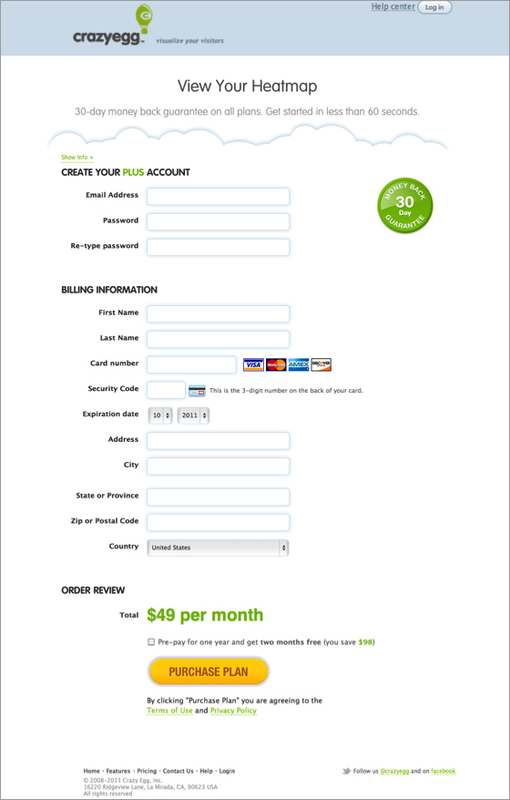 Sometimes your pricing page just needs a little design work. Maybe the information isn’t organized clearly, or there’s too much or not enough of it. But what if a totally new pricing model would result in more free trials and revenue? For Groove HQ, nothing was set in stone. They wanted to develop a “disruptive” model that offered competitive pricing and allowed customers to pay in the way that worked best for them. So they started from scratch with a freemium, flexible model. 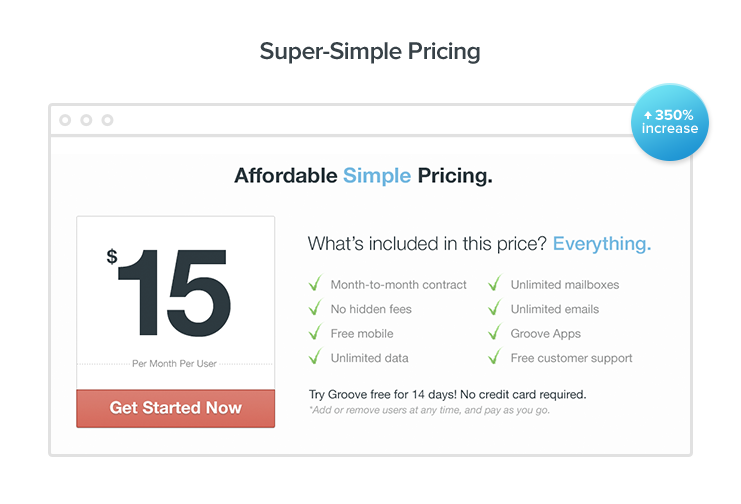 This highly flexible pricing page model converted at 1.11 percent. It was hardly the game-changer Groove was looking for. “People wanted to pay for the number of support tickets they handled, not the number of agents on their team,” Alex says. So they took that feedback and produced . . . something even more complicated. The new page had a 1.17 percent conversion rate. Barely an improvement. “Even though people told us that this approach would make them happy, when we dug deep and asked site visitors for honest feedback, we found that they ended up being scared about the uncertainty of never knowing what they’d be paying in a given month,” Alex says. The flat pay-per-ticket option from the previous pricing model would’ve been a simpler route, but that isn’t feasible for large companies. So while customers said they preferred a per-ticket option, it wasn’t panning out. So they tried one more time. This straightforward model converted at 4.15 percent—more than triple the previous model. 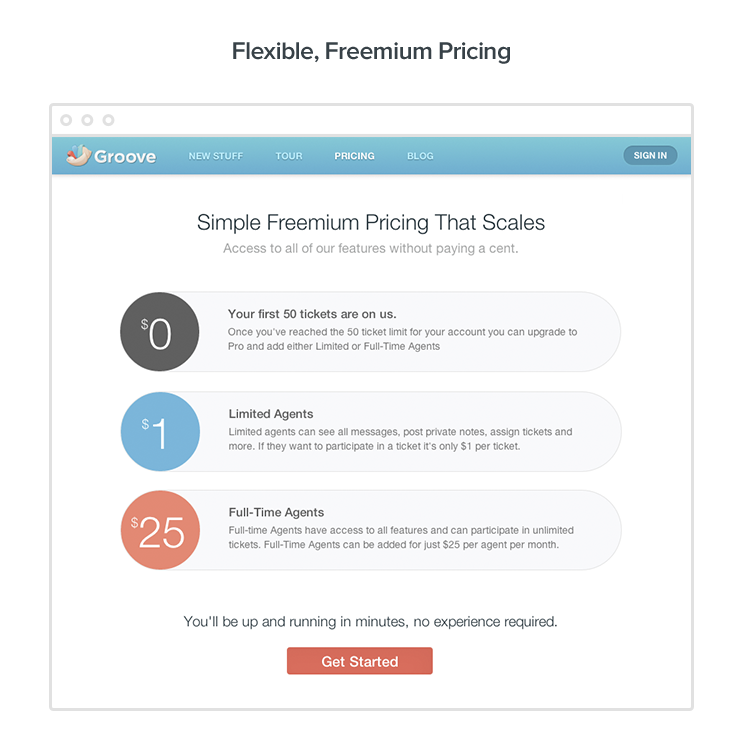 Once Groove settled on a pricing plan, they created a comparison page to make the decision a little easier for potential customers. Implementing the comparison page increased trials by 16 percent. The moral of the story? Test everything. Even if you’ve already put a lot of research into developing your ideal pricing scheme, experimentation might reveal another model that converts better. This is textbook growth marketing. Changed the copy to focus on value, not payment structure. Reduced length of homepage by about 33%. Increased clicks on the CTA by 139%. Increased trial signups by 73%. Where the case study came from: Growth Rock and SingleGrain teamed up to optimize Wedbuddy.com, and Growth Rock shared the results on their blog. Growth Rock also had a hunch that the homepage was trying to do too much at once. Wedbuddy was cramming in a features section, too. So they cut about one third of the homepage. Unfortunately, it looks like Growth Rock tested multiple variables at once. So while the results are impressive—139 percent more clicks on the CTA and 79 percent more free trials—they can’t definitively say if both changes had a positive impact. My guess is that the updated CTA had the biggest impact. But unless you test for one variable at a time, you simply don’t know. Suppose that the net result was negative. When you run a test with multiple variables in play, all you really learn is “we did something good in this variation” or “we did something bad in this variation.” But you can’t point at any one factor as definitively positive or negative. And that’s bad. You’re missing opportunities for easy wins. Interestingly, Growth Rock makes a point of explaining some of the research that led to their hypothesis, but the research they highlighted doesn’t appear to support the changes they made. Specifically, Growth Rock says that they dug around on wedding forums and identified a feature brides need, which Wedbuddy provides. Modified exit intent popup to present yes/no opt-in. Created holiday-specific and seasonal opt-ins. Increased free trial signups by 120%. Where the case study came from: OptinMonster shared this case study on their blog. I’ve never heard a single person say, “Hey, you know what? I like popups.” And I doubt you have, either. Still, they’re ubiquitous. Because when done well, they work. You just have to decide if the benefit of new customers in the pipeline outweighs the shame of being kind of annoying. As a savvy young SAAS company, Cloudways knew that if they really wanted to grow, they had to test out every possible strategy. 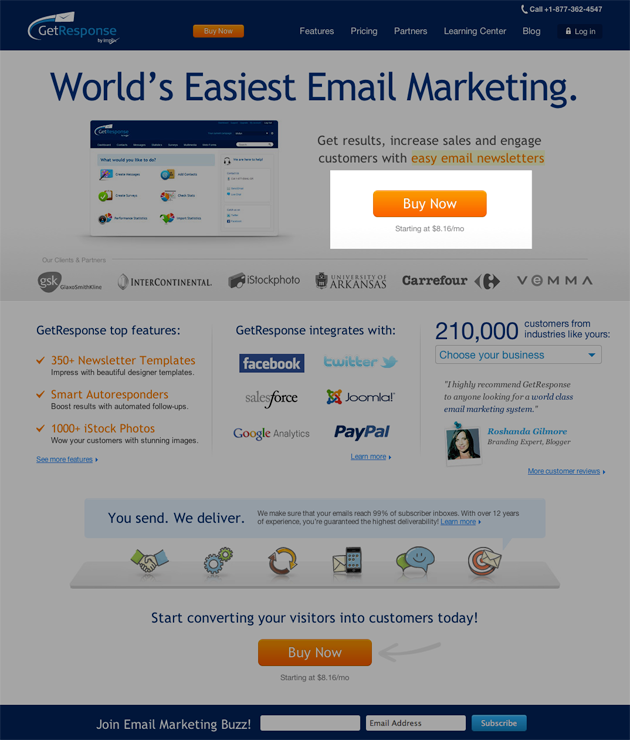 So they turned to OptinMonster to experiment with exit-intent popups. Their first experiment didn’t go well. 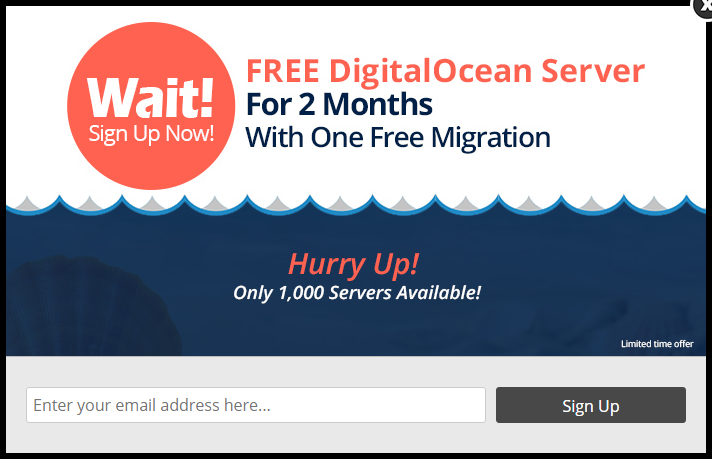 3.77 percent of visitors who saw this popup went on to start a free trial. 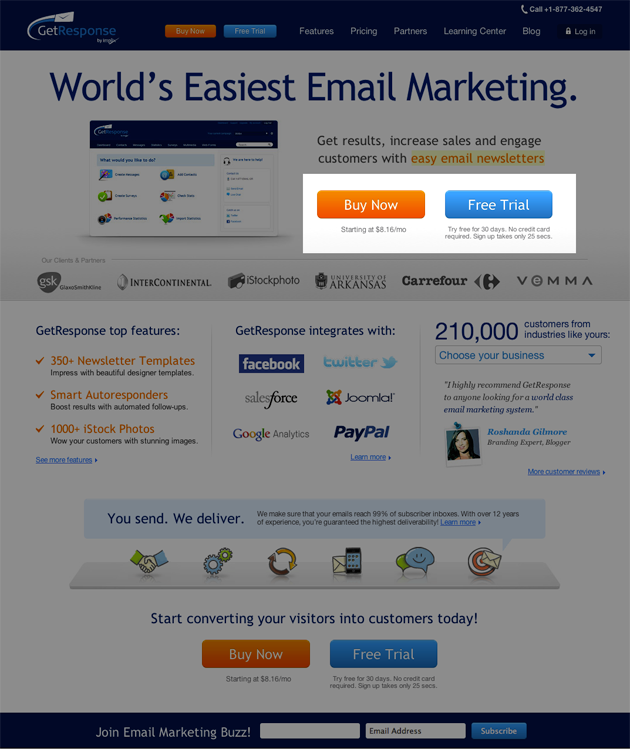 Altogether, these popups resulted in a 120 percent increase in free trials. 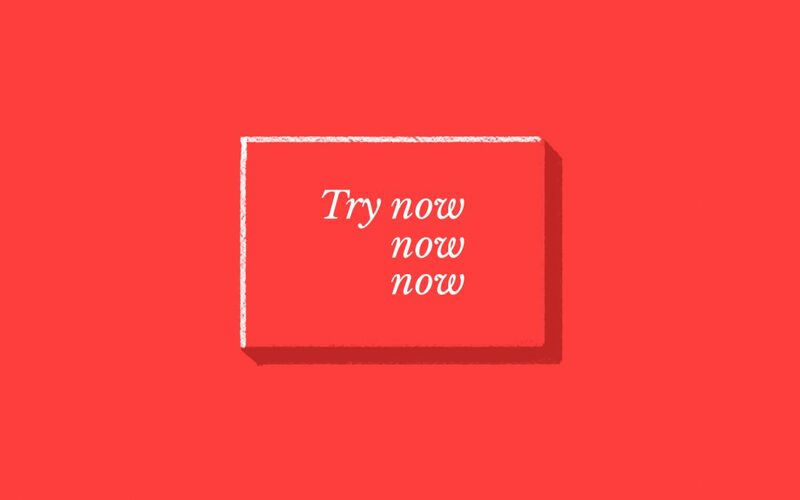 Even if you decide popups aren’t right for your brand, this case study is a good exploration of ways to manufacture urgency and reinforce the value of signing up for a free trial. Note: It doesn’t look like Cloudways is using exit-intent popups anymore. Perhaps they learned that popups can negatively impact your SEO? Popups are especially obnoxious on mobile, and Google favors sites that provide the best mobile experience. Used Qualaroo on the trial page to determine why people were hesitating. Addressed major concerns in the checkout process. Increased trial signups by 116%. Where the case study came from: Conversion Rate Experts shared this case study on their website. 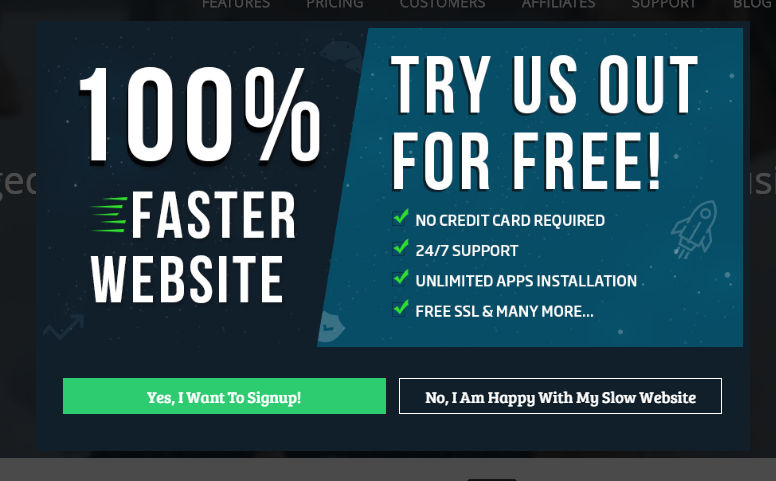 Conversion Rate Experts made a lot of changes to Crazy Egg’s website. In the case study, they say that these changes added up to a 363 percent increase in the website’s conversion rate. But we’re going to focus on what they specifically did to increase free trial signups. At some point, every SAAS company asks, “Should we require credit card information before people sign up for a free trial?” Conversion Rate Experts used Qualaroo to survey people during the final signup process. They discovered that the biggest barrier to signing up was this classic hurdle. Crazy Egg didn’t want to lose all those potential customers, but they also knew that collecting credit card information early can increase the free trial conversion rate. So they didn’t make it an either-or situation. Instead, they decided to address known concerns upfront. While you can certainly follow Crazy Egg’s model, it’s worth noting: this would have been a more powerful example of “unblocking arteries” if they had removed the credit card requirement altogether. After working with more than 100 SAAS companies, Totango concluded that free trial pages that require a credit card convert at about 2 percent of visitors. Meanwhile, free trial pages that don’t require credit cards convert about 10 percent. Obviously, there’s a lot less friction to starting a free trial that way. Or less blockage in the arteries, I guess. 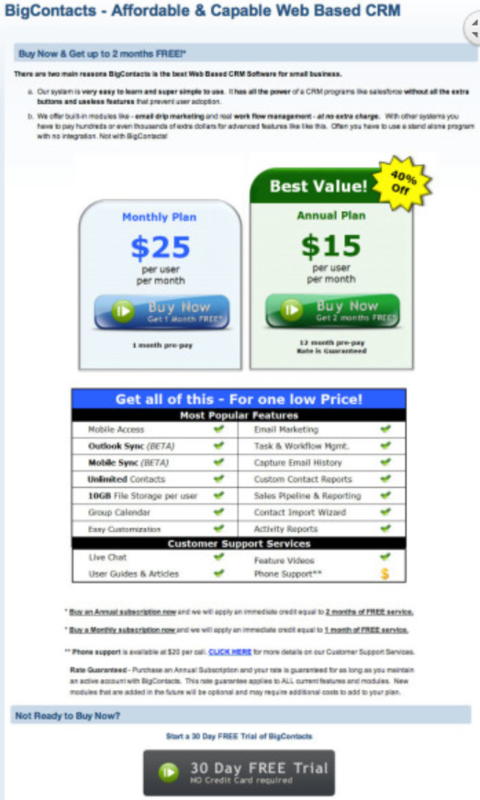 A/B tested which pricing plan was most appealing to potential customers. Made the free trial offer more prominent. Increased visits to the free trial page by 76%. Where the case study came from: BigContacts turned to Surge Labs for optimization help, and Surge Labs shared the case study on their website. “The BigContacts existing pricing page was confusing and had a lot of miscellaneous information on the page that diluted the pricing message and got in the way of prospects signing up for the free trial,” Surge Labs says. They started by A/B testing three variations of the pricing page, each one making a different option (free, monthly, or annual) more prominent. They also gave the page a much-needed facelift. 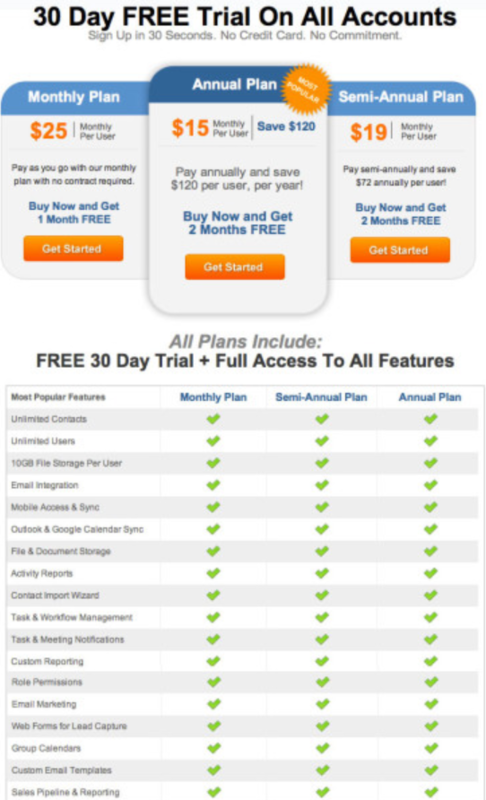 Interestingly, the version of the pricing page that highlighted the annual plan drove the most people to the free trial page—76 percent more than the original version. Surge Labs’ case study of Big Contacts shows that when people are looking at your price tag, they’re obviously going to gravitate to the free option. If you try to hide your free trial option by making your pricing more prominent, you’re simply going to have fewer people trying your product. Why did Surge Labs share statistics about the number of visits to the free trial page, instead of the number free trials? It’s possible that BigContacts’ whole website was going through a much larger-scale redesign, and so there were too many variables for them to attribute an increase in trials to these changes. But since the case study doesn’t say anything more about this, it’s hard to know what other changes were being made to optimize the top of the funnel. 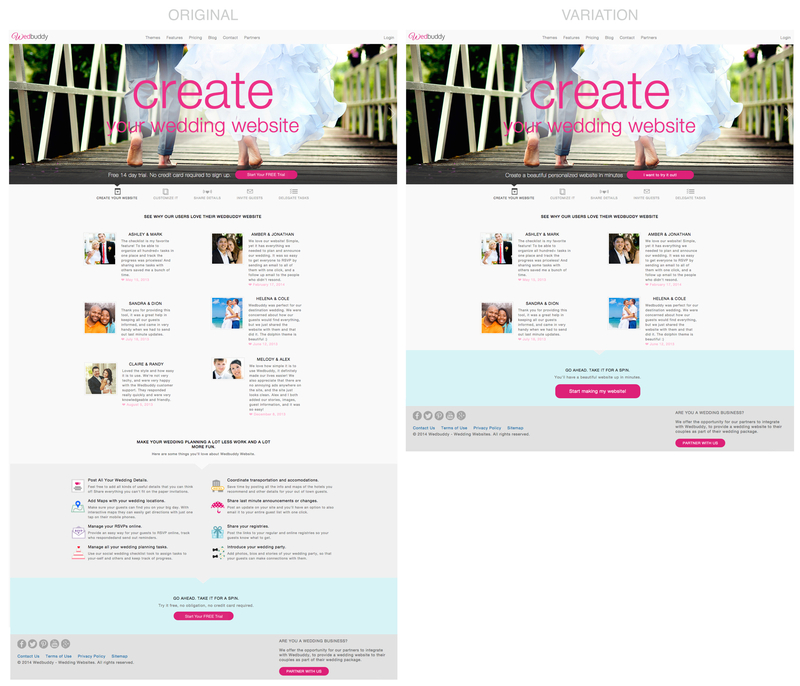 A/B tested headings, copy, buttons, and images. Increased free trials of their severe weather warning system by 225%. Where the case study came from: MarketingSherpa shared this case study on their website at the beginning of 2008—more than 10 years ago. You might be wondering why we’re referencing a 10-year-old case study. You might also be wondering, “If people knew A/B testing was important 10 years ago, why do I still have to convince people to do it?” That’s the real question. The Weather Channel wanted to get more people to use their severe weather warning system, Notify!, but they were having trouble visually explaining what it does. So they talked to existing customers to find out why they used it, and learned that most people sign up to receive tornado warnings. The result was a 225 percent increase in trials. Added a video to their homepage. Promoted the video on social media. Increased free trials by 34%. Where the case study came from: Adelie Studios produced the video for MyVR and shared the case study on their website. Sometimes the fastest way to understand something is to watch a video about it. Adding a video to your homepage gives you the opportunity to put your service in the context of a story, and visually connect with the problems your website visitors face. This can be especially valuable if your product or the problem you’re trying to solve is complicated. Instead of having to dig around your website or scroll for a few minutes to figure out what you do and how it connects to them, visitors can just watch a quick video. That’s why MyVR reached out to Adelie Studios to create a video. While branding plays a big role in what any given video should look like, Adelie Studios also wanted the design to contribute to the message of the video. Promoting the video on social media likely contributed to the spike in trials, but the sustained impact of the video would come from an increased conversion rate on the homepage, not just an increase in trials. Either way, the video condensed MyVR’s message into an easily consumable format, and trials signups remained higher after the video was added. Used email onboarding on their newsletter to drive free trials. 10 percent of all blog subscribers start a free trial. 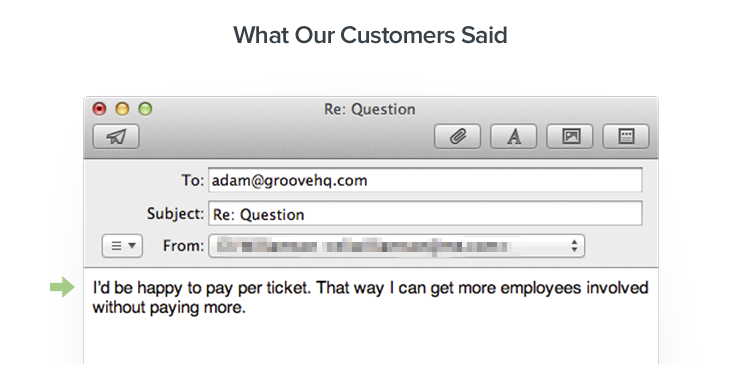 Where the case study came from: Groove HQ wrote about their email onboarding campaign on their blog. The case study includes a section specifically about how they used their newsletter to increase free trials. Yup. Groove HQ again. We’ve talked about their onboarding emails before, but this time we’re going to focus specifically on how they leveraged this channel to increase free trials. 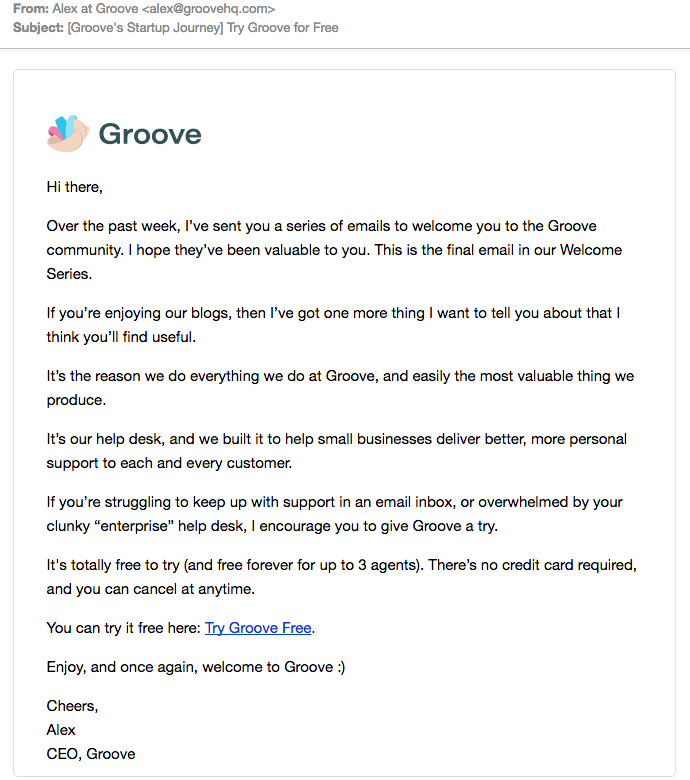 Groove knows that they benefit the most from building long-term relationships with their blog subscribers, and how they handle these first few emails sets the tone for the relationship. 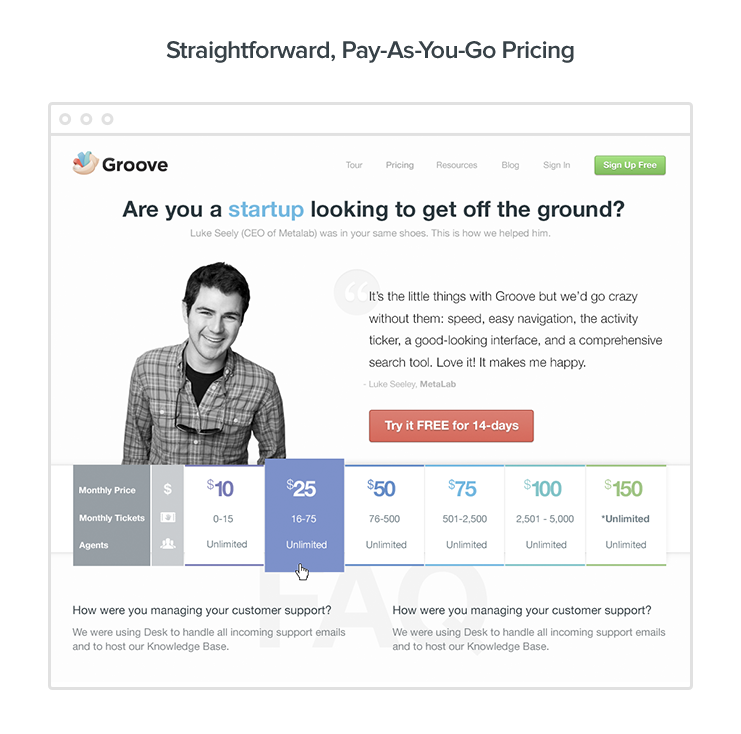 More receptive to the pitch because they trust Groove’s expertise and have received other valuable content from them. Less likely to unsubscribe because they want more of the valuable content that came before the pitch. This means there are still more opportunities to make pitches in the future. 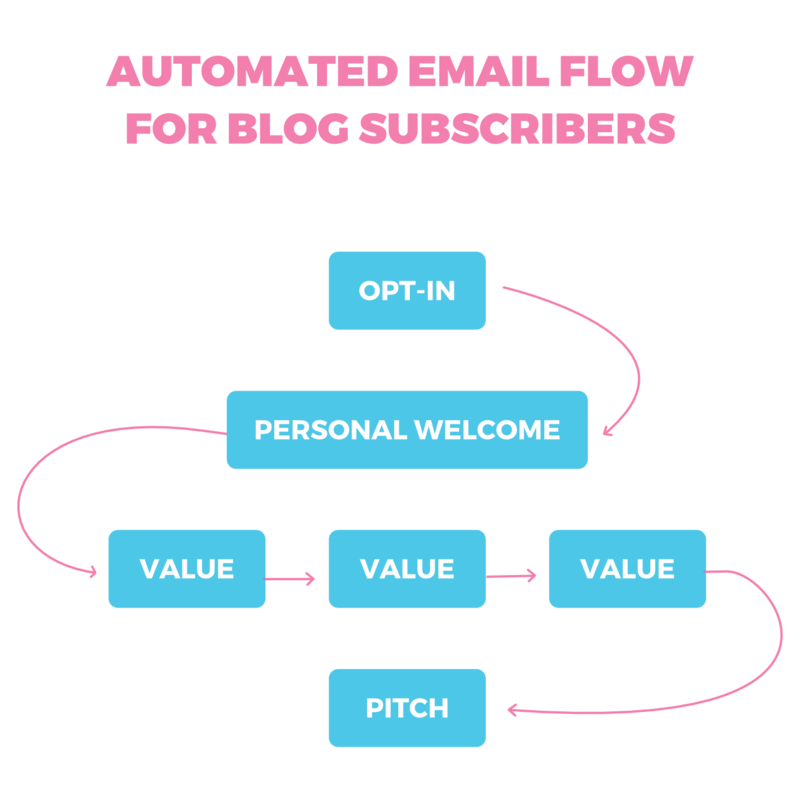 Every blog post Groove HQ writes feeds into the newsletter signup, which feeds into the free trial signup. If you don’t already have an email onboarding campaign that culminates in a promotion for your free trial, you’re missing out on a permanent stream of new trial users. Added a “free trial” button to their homepage. 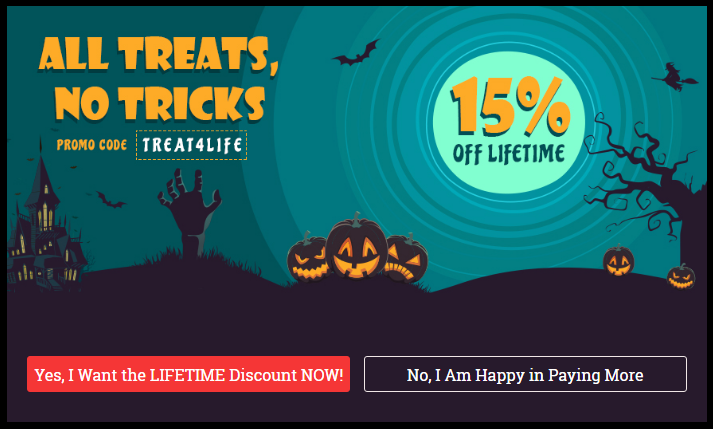 Increased free trials by 158% without decreasing purchases. Where the case study came from: Visual Web Optimizer shared this case study on their blog in 2011. Suppose you’re at a car dealership, ready to buy, and a salesperson shows you two identical cars and tells you, “You can have this one for free, or you can buy this one.” Obviously, everyone is going to take the free car. The problem is, not everyone is here because they’re ready to buy. And a car salesperson isn’t going to give you a new car, but they’ll let you test drive it to help you decide if this is the one you want to buy. 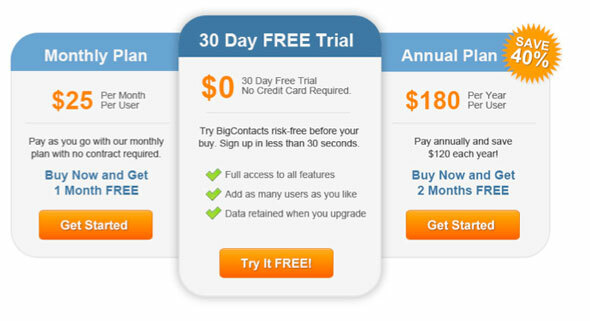 GetResponse wanted to increase free trials, but they were worried that adding a free trial button to their homepage would negatively impact sales. But without data, they weren’t going to let that fear cause them to miss a potential increase in free trials. So they tested it. Obviously, having a free trial button is going to result in more free trials than not having one. On the previous homepage, people only found a free trial if they were willing to hunt for it. (It’s unclear if it was on the pricing page or if they had to use the search bar.) After GetResponse added the button, there was a 158 percent increase in free trials. But what surprised GetResponse is that the button didn’t result in fewer sales. (It sounded like there may have been a small decrease, but they didn’t share any data here.) People who were ready to purchase were still going to buy. They didn’t waste time dipping their toes in the water with a free trial. Even if you experience a dip in sales though, when you factor in the massive boost of free trials and the free trial conversion rate, you’re probably still going to see a net gain over time. Paid users real money when they got their friends to sign up. Spent $60 million on new users. Gained 100,000 users in the first month the website was live. Saw daily increase of 7–10 percent more people using the platform. Where the case study came from: ReferralCandy analyzed PayPal’s referral program on their blog in 2016. PayPal’s referral program was actually the model that DropBox’s program was based on. While it doesn’t always get as much attention, it’s certainly worth exploring this little marketing history lesson. Since people use PayPal to, well, pay for things, they needed to get people to spend money on the platform. Like DropBox, their advertising efforts weren’t panning out, so they tried something else: paying people to sign up and to refer friends. Check out the case study to see how they made this work, and why they stopped it. If you’re interested in referral programs, ReferralCandy has 47 examples of how companies from different industries have pulled them off. A/B tested a romantic image of a couple vs. a conglomerate of individuals. Increased signups for free trials by 38%. Where the case study came from: Conversioner shared this case study about an unnamed Asian dating site on their blog. The whole point of a dating site is to help you find your match. But everyone has their own idea of what they want in a relationship. So when a dating site presents a specific couple in a specific setting, it’s easy for people to feel like “this is for me,” or “this isn’t for me,” based on what kind of relationship is represented. Even if that image isn’t at all representative of what your experience would be like, it communicates something about the type of experience the site is trying to facilitate, which can feel prescriptive, even when it’s not. Conversioner set out to optimize the homepage of an Asian dating site to increase their free trials. They tested two variations of the homepage. One was prescriptive, the other was not. Guess which one did better? This image increased signups by 38 percent. Conversioner makes a big deal about what they call “emotional targeting” and “emotional conversion optimization,” but they don’t really explain what that means or how it plays out in this case study. The real takeaway here is that the homepage image that performed the best was the one that gave visitors the most freedom to insert themselves into the narrative. What does this all mean for your free trial program? Just about any marketing tactic in the book can be used to increase free trials. We looked at how other organizations have used some of them successfully, but you might also want to explore the possibilities of strategies like retargeting, or tools like chatbots. If you want help coming up with some ingenious ideas for increasing trials, or you’re not sure how to implement these strategies in the context of your product, let’s talk.